The role of oxytocin in the pathophysiology and treatment of major neuropsychiatric disorders has recently received increased attention. Although oxytocin has an established role as a circulating hormone involved in parturition and lactation, it also acts as a neurotransmitter and neuromodulator. 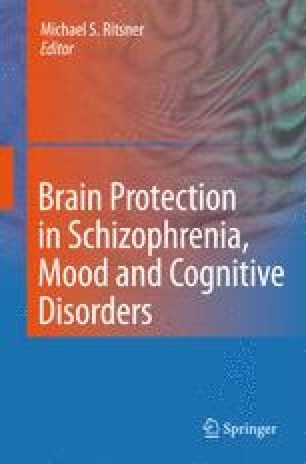 Oxytocin receptors are found in several brain areas such as amygdala, nucleus accumbens and hippocampus, which have been heavily implicated in the pathophysiology of schizophrenia, depression and anxiety disorders. Converging lines of evidences suggest that oxytocin is a key mediator of complex emotional and social behaviors, including attachment, social recognition, and aggression. Moreover, oxytocin alleviates anxiety and impacts on fear conditioning and extinction and on social reward systems. Furthermore, recent data suggest that oxytocin has neuroprotective effects by increasing the resistance of fetal neurons to insults during delivery. Due to its influence upon a wide range of behaviors and its antistress neuroprotective properties the role of oxytocin-related dysfunctions and therapeutics are presently assessed in major neuropsychiatric disorders. In this chapter we will review and summarize some of the mechanisms and concepts relevant to the role of oxytocin in the pathophysiology and therapeutics of neuropsychiatric disorders.